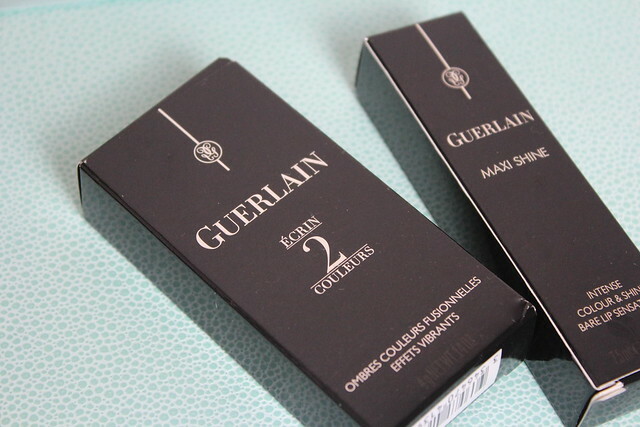 Guerlain is one of those brands that when you have a piece of it in your life you want to take it and apply on the train just so you can show it off to your nosy fellow commuters. From the packaging to the product – they’re gorgeous. 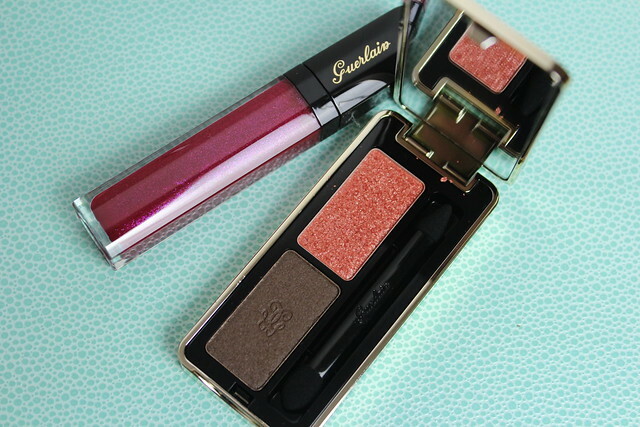 This post is a little peek at two of the lovely pieces from the AW collection – an eyeshadow duo and a lip gloss. 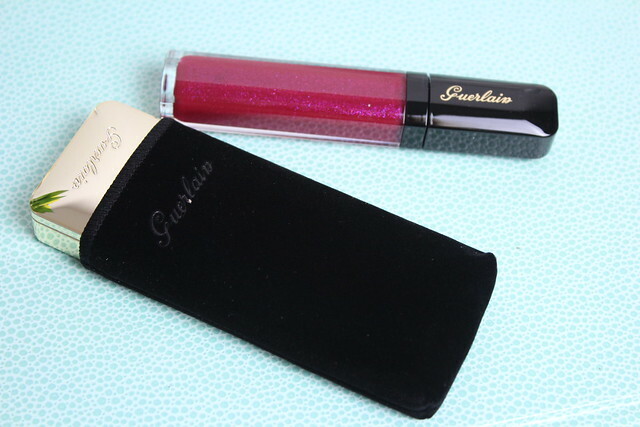 Starting with the gloss ‘Gloss D’Enfer’ shade 860 – a gorgeous raspberry that really reminds me of the colour my lips would go after sucking on a raspberry lollipop or similar – that sort of bright but rich shade. 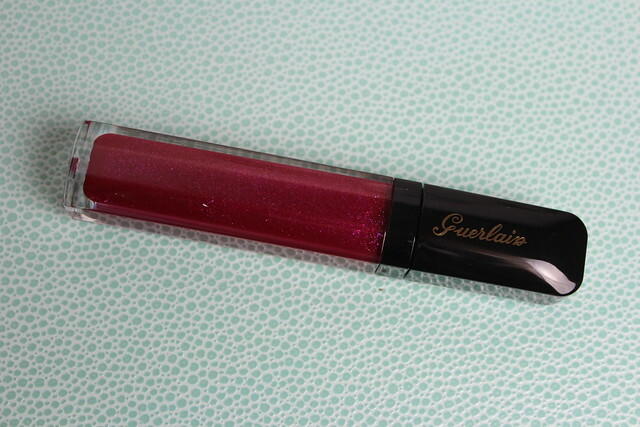 This gloss also has added sparkle – helping create a plumping effect. 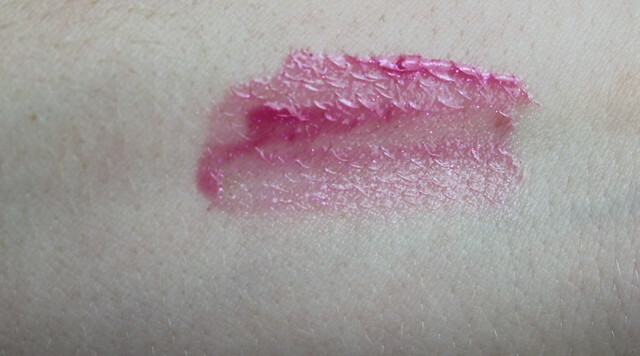 The wand is a fab, big and fluffy one – but not too big that you end up with gloss all over the place. This shade is one that makes wearing berry shades easier as it’s nice and sheer. Then we have the ‘Ecrin Coulleurs’ in ’08 Two Spicy’ – a combo of rich brown and a shimmering terracotta shade that goes more towards the orangey coral when applied. The combo is gorgeous for anyone with blue eyes as the coral/oragange shade really flatters blue shades (opposite on the colour wheel so makes them pop). The brown is also a really rich shade that manages to be that sort of silky matte that isn’t shimmering but does have a bit of a glow to it. Packaging wise, the eyeshadow duo really win the ‘most gorgeous’ prize – encased in a velvet pouch (always a good sign) the gold compact opens lengthways (unique – I like it) with a huge mirror taking over the inside of the lid (practical – excellent work Guerlain). Overall it manages to be the ideal combination of flashy, luxe and practical. Love love love that little palette! 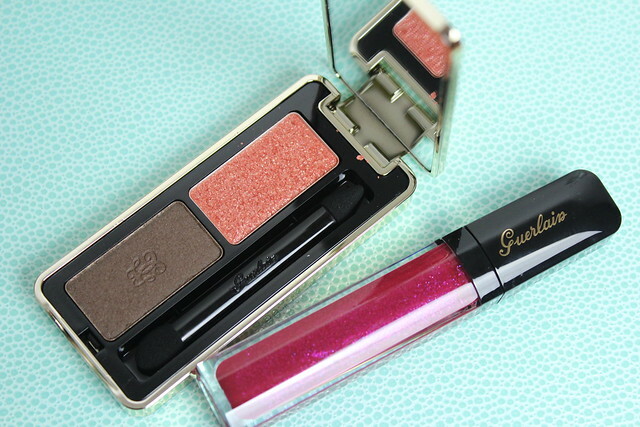 I want the lipgloss, it looks like such a rich berry colour, rather than the frosty shimmer! 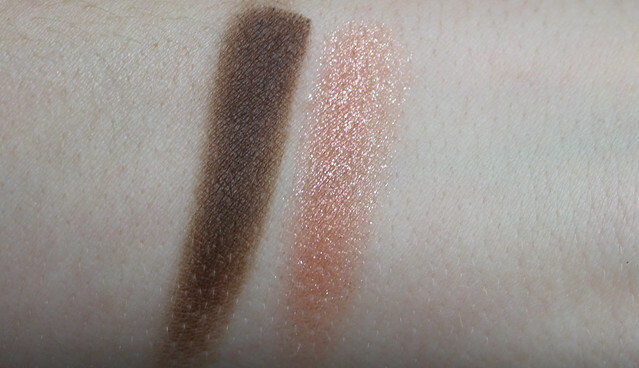 I love the new eyeshadows. They might look scary at the stand, but on the eyes it’s almost as good as magic. Just today I bought Two Parisian, after wearing it almost every day at work this week, and applying the palettes to colleagues and customers alike – I’m addicted. Two spicy is a shade we didn’t get a tester for, so it’s on and off my wishlist. After reading this post, it’s on again. How do you prefer to wear this?